Human activity has created the potential for stronger storms. We already know what to do about it, but keep choosing not to. After enduring three major hurricanes — Harvey, Maria, and Irma — in a few short weeks last fall, our nation is once again watching a monster storm churn its way toward our coastline. 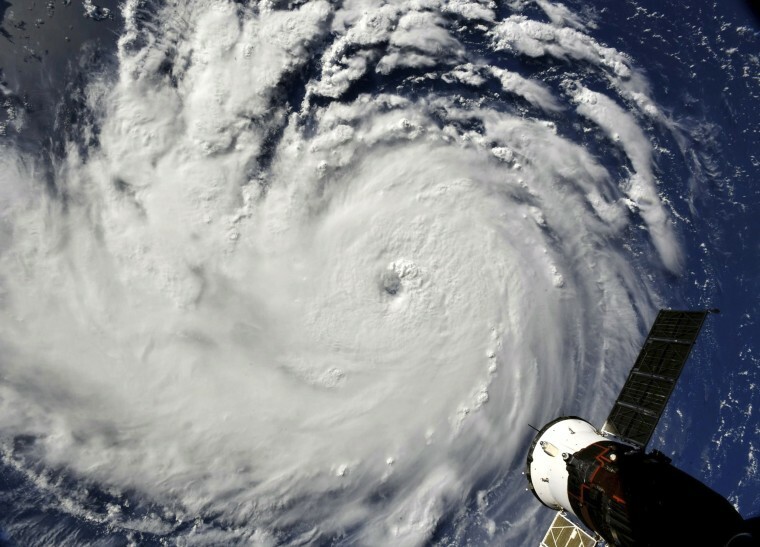 This time, the Carolina coast (which has not had a strike from a Category 4 storm since 1989) is in the bull’s-eye of Florence, which is predicted to bring life-threatening surge and damaging winds to the coast before stalling and dumping feet of rain on inland areas throughout the Mid-Atlantic. With each new storm, we are forced to question whether this is our new, climate change-fueled reality, and to ask ourselves what we can do to minimize the toll from supercharged storms. Climate change absolutely creates the potential for stronger, more destructive hurricanes in three ways. First — as we saw with Hurricanes like Maria and may see again with Florence — when hurricanes pass over abnormally warm ocean waters, they gain power and energy. Driven in large part by human activity, the surface temperature of the ocean has warmed by roughly two degrees Fahrenheit since the turn of the 20th century. As a result, storms that form off the west coast of Africa during hurricane season and pass over unusually warm North Atlantic waters therefore have access to a vast fuel source — warm water — as they move westward and can grow monstrously destructive. Second, when our atmosphere is warmed by climate change, it can hold more moisture, increasing the potential for extreme rainfall during storms. This phenomenon was displayed during Hurricane Harvey as it dropped 60 inches of rain over parts of Texas in a matter of just days. There, of course, terrible consequences ensued as rainfall led to catastrophic inland flooding. Finally, the Carolina coast has seen roughly eight inches of sea level rise just since the 1950s —about the same amount the world as a whole has seen since the late 1800s. Indeed, much of the Eastern Seaboard has experienced more rapid sea level rise than the globe as whole. That rapid rise is already playing out in the form of increasingly frequent high tide flooding along the East Coast. And when it comes to storm surge during hurricanes — like the five to nine foot deep layer of water that overtook large areas of New York and New Jersey during Hurricane Sandy, submerging and often destroying homes and infrastructure in its path — higher sea levels make for larger, farther-reaching surges. Studies have shown that Sandy’s surge affected roughly 11 percent more homes and caused and an additional $2 billion in damage than it would have without sea level rise. Because there’s so much natural variability in the number and intensity of hurricanes year over year, there’s still some scientific debate about whether hurricanes have grown stronger over the last few decades than they might have otherwise. But increasingly, scientists are able to examine a particular weather event and determine whether that event bears the fingerprint of human-caused climate change. In the case of Hurricane Sandy in 2012, for example, unusually warm sea surface temperatures and higher sea levels were both found to have contributed to the storm’s destruction. Recent attribution work also found that human-caused warming made Hurricane Harvey’s record-breaking rainfall three times more likely and 15 percent more intense. The 2017 hurricane season exposed two important lessons: While not every storm is truly unprecedented, we are increasingly experiencing storms that are consistent with what we expect in a warming world, and we are woefully unprepared as a society to deal with their consequences on people’s lives and livelihoods. One year after Harvey’s utterly shocking and devastating floods — with damage from the storm totaling $125 billion, second only to Hurricane Katrina, and the number of lives lost currently standing at 88 people — Houston residents are still struggling with housing uncertainty, debt and the chronic mental toll that accompanies the loss of a home and its security. It took 11 months for electricity to be fully restored after Hurricane Maria struck Puerto Rico, and island officials almost as long to admit that the death toll was close to 3,000 people. This level of destruction and slow, painful recoveries must serve as the wake-up call we need to propel investments in building climate resilience so we’re prepared when disasters strike — but it hasn’t yet. Today we too often build and rebuild like storms are a thing of the past; instead, they are a defining threat of the future. Hurricane Andrew in 1992 inspired great strides in computer modeling of storms and was the impetus for our modern-day emergency response system. Today, it’s critical that we take a hard look at how to best prepare communities for a future with supercharged storms. Ensuring that, after a storm, rebuilding is informed by the best available science on rising sea levels and the changing nature of storms, for example, could prevent the repeated destruction and costly rebuilding of homes that has taken place along much of the U.S. East and Gulf Coasts, which exacts a heavy toll on coastal residents, taxpayers and the National Flood Insurance Program. Similarly, supporting effective, equitable buyout programs in devastated areas that encourage development of safer land is something that ought to be given serious consideration. It’s also essential that we as a nation galvanize our own efforts to reduce carbon emissions — swiftly and deeply — so that we can contribute to global efforts to minimize future warming and avoid a world in which Category 4 and 5 storms become the norm. By moving to unravel the Clean Power Plan, exit the Paris Climate Agreement and sabotage fuel economy standards for automobiles, the Trump Administration regrettably seems to be doing the exact opposite. Right now, our number one priority has to be ensuring the safety of those in Florence’s evolving path, as well as the first responders helping them. In the weeks and months ahead, however, we must rise to the dual challenge of increasing our resilience to the ever-more-extreme weather that climate change is bringing, and enacting policies that will put us on a less treacherous path. 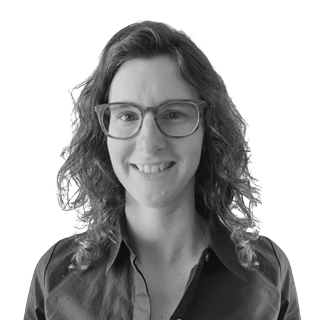 Kristina Dahl is a climate scientist whose research focuses on the impacts of climate change —particularly sea level rise — on people and the places and institutions about which they care. Dr. Dahl holds a Ph.D. in paleoclimate from the Massachusetts Institute of Technology/Woods Hole Oceanographic Institution joint program.